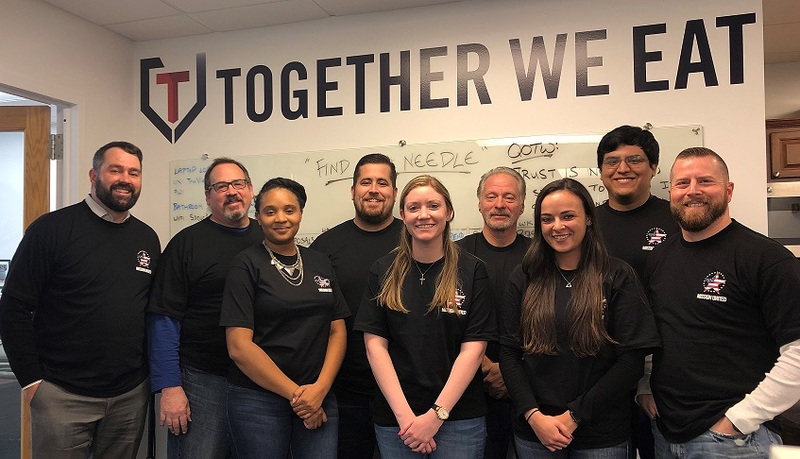 Members of TruView’s Long Island headquarters office demonstrated their support for military veterans by participating in the United Way of Long Island’s Mission United T-Shirt Campaign. Funds raised through the sale of Mission United T-Shirts directly benefit United Way of Long Island’s Veteran Assistance Programs, which support Long Island military veterans and their families as they transition to civilian life by addressing issues that include employment, financial needs, healthcare, education, and housing. Long Island has New York State’s largest population of veterans and one of the highest concentration of veterans in the United States. Mission United was started in 2013 by a veteran working with Florida’s United Way of Broward County. By creating a coordinated care network that provides a straightforward entry point, a dedicated and well-equipped case manager, and a team of service providers committed to meeting veterans’ many needs, Mission United works to ensure that veterans no longer “slip through the cracks” of the system. Now, Mission United serves many communities throughout the United States, and, since its inception in 2013, it has served over 12,000 veterans. To learn more about the national United Way Mission United project, click here, or to visit the United Way of Long Island, click here. For more information on TruView’s innovative background screening and investigative services, please contract Nicholas Auletta, President, at 516.289.0273 or nmauletta@truviewbsi.com.